This preamp with undersaddle pickup combines Fishman's most sophisticated preamp design with the imaging power of Aura® Acoustic Technology giving exceptional accuracy and natural sound. The Ellipse Aura allows guitarists to easily reproduce the sound of their instrument as miked in a professional studio. The Fishman technology allows you to upload up to four Aura images into the preamp using the included software. You can then discreetly switch between them using the Sound Image switch. The ergonomic soundhole mounted design puts the slider control at your fingertips to maintain a natural playing position. The Ellipse Aura features Pickup/Image Blend, Volume and switchable Natural I and Natural II low frequency tone shaping, a Phase Switch and automatic Anti Feedback control. 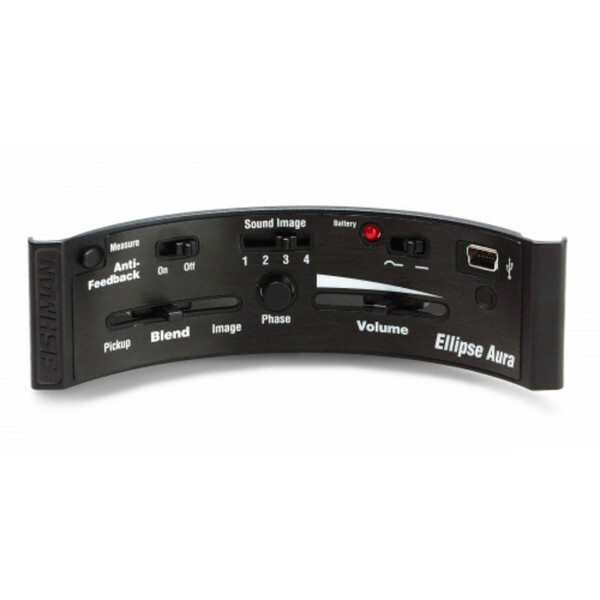 To read more about the Fishman Aura Ellipse Preamp please download the user guide using the button below. To see more about the installation of this preamp please download the installation guide and template below.